The third State witness in Soul Jah Love’s Airport case yesterday testified before Harare magistrate Learnmore Mapiye. 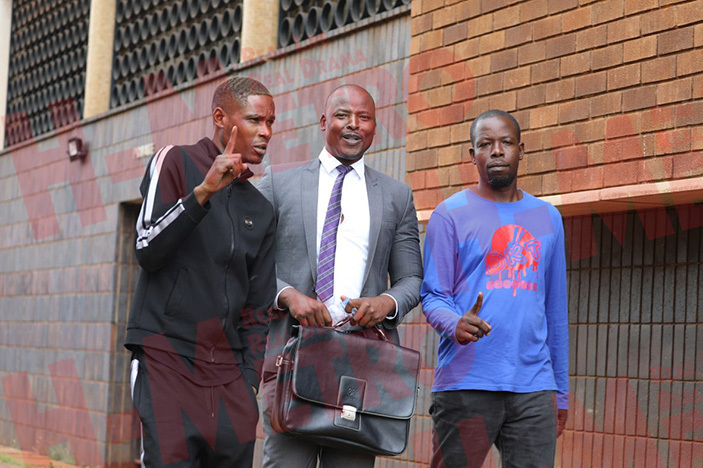 Musaka, popularly known as Soul Jah Love, is facing charges of contravening the Civil Aviation regulations after he refused to deflate his basketball. The third State witness, Kennedy Manjengwa who works at the Civil Aviation Authority, denied allegations by the accused that he was manhandled and assaulted by security personnel at the Robert Gabriel Mugabe International Airport after he had failed to comply with security protocols. Manjengwa told the court that, after failing to board the plane, the accused went on to bounce his ball while throwing his hands in the air, which was disruptive as it drew the attention of other people. He said attempts to assist the accused in understanding why he could not board the plane with an inflated ball were futile as he showed no interest to converse with him. Manjengwa further told the court that the accused, uttered statements to the effect that the plane would not land in South Africa because he had been refused to board. The statements, they felt posed a security threat to the passengers who were on board hence the accused’s detention until the plane had safely landed in South Africa. Owen Safuri represented the State. The trial continues on February 15.